CHICAGO (WLS) -- The CTA Purple Line Express will undergo a $30 million renovation between Lawrence and Jarvis, officials announced Tuesday. "A lot of this track has not been touched since the 1970s," said Mayor Rahm Emanuel. "It will cut dramatically the time for people to get to work." The four-month project is scheduled to begin July 20 and is expected to eliminate several slow zones and give riders more reliable service. The work will have no impact on regularly scheduled Purple Line Express service, CTA officials said. Track construction will only be done week nights and weekends to minimize impact. Meanwhile, work on the Yellow Line is still months away from reopening. The earthen embankment collapsed in mid-May leaving track dangling in air. A water reclamation district tunnel dig sits below ground, but engineers still haven't said if they know why the earth gave way. And the fix is complicated. "It's not just taking a bunch of dirt and piling it back up and you're done," said Dorval Carter, CTA president, of the Yellow Line work. "The way that soil is compacted, the mixture of the soil, all those things have to be properly addressed so that once you repair it it'll last." The Yellow Line work - is expected to cost seven figures -- is scheduled to be complete in October. This is great news for Romell Harris, a Yellow Line rider. "It'll be much easier, much better going to and from school," he said. The Purple Line work will have minimal to no impact to Red Line service during construction periods and will include occasional minor reroutes to Red Line tracks in the proximity to Purple Line Express tracks, CTA officials said. The project includes the replacement of track ties, restoration of track alignment and partial replacement of running rails. Other work is already underway on the Purple Line, including track upgrades between Armitage and Merchandise Mart. In 2013, the CTA completed track renovations between Howard and Linden. 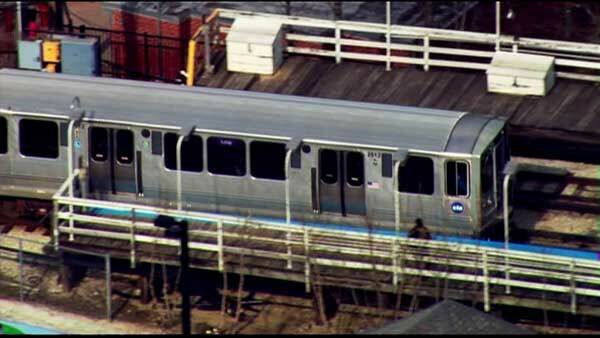 The CTA said more than 13,000 people take the Purple Line Express each day. Commuters should allow extra travel time during the renovations.